SYDNEY -- Police shot a knife-wielding man Friday after he fatally stabbed one person and injured two others in the center of Australia's second-largest city. 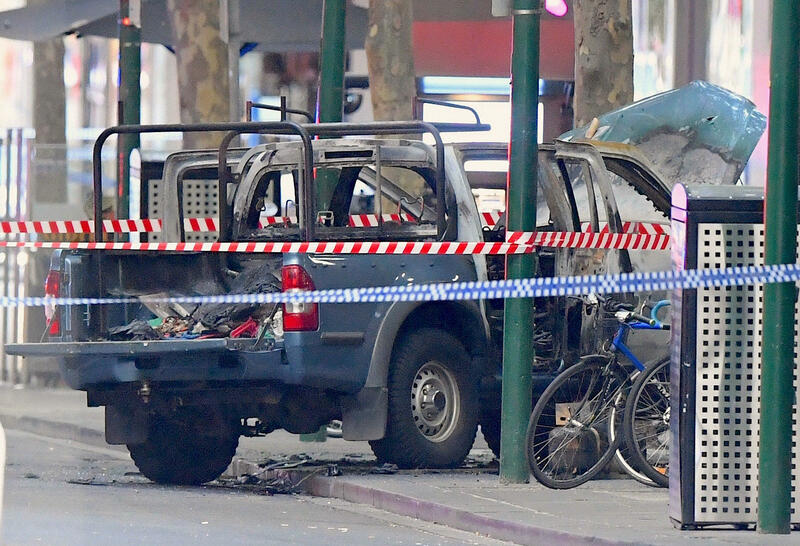 Police were investigating the incident in Melbourne as suspected terrorism, and they were re-evaluating security plans for upcoming public events. The Islamic State of Iraq and Syria (ISIS) issued a statement claiming responsibility later on Friday. ISIS claimed responsibility for the attack in a vague statement released by its self-styled news agency Amaq, calling the attacker one its soldiers but offering no identification or other information to prove any link with the man. The terror group has issued previous claims without offering evidence to prove any link, but in other cases subsequent videos have shown attackers pledging allegiance to ISIS. He said security for large upcoming public events, including commemorations for Remembrance Day on Sunday, would be reassessed and possibly boosted.